Delightful. Great accomadations,convenient location, very helpful staff (particularly Andrew). Our students had a super time. We appreciate your review of the recent stay with Alpine Meadows at the French Ridge townhomes. We are happy to know you enjoyed the home. We were happy to host your group and hope you can make it out to stay with us again! 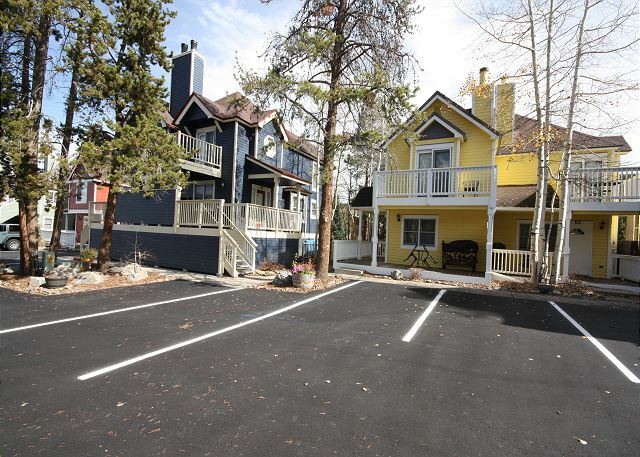 The location of these condominiums is fantastic for those that want to enjoy the walk around benefits of Main Street in Breckenridge. There is a small grocery store on the corner just across from the condos. The post office is down the street. And all the great restaurants of Breckenridge are all within easy walking distance. The condo was very clean, neat, updated, and nice. Each unit comes with a large stack of firewood that burns easily to make the stay even more enjoyable and relaxing. There is a bus to pick you up to take you to the lifts. Or, a person can walk easily to the base of peak nine to get on the Quicksilver left. We love staying at these units. Much more than a ski in ski out. Our kids and the adults get to enjoy Breckenridge without ever having to move our car.